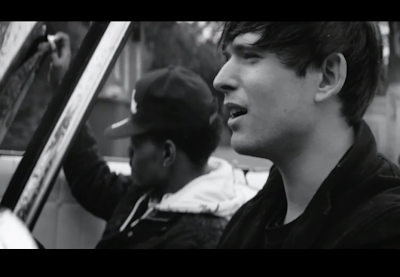 James Blake’s “Life Round Here” remix pairs the UK singer-songwriter with Chicago rapper Chance the Rapper. Directed by Nabil, the remix’s accompanying video draws out this juxtaposition even further. “So I thought I’d bring an old-school low-rider car to the countryside in England. Get a mixture of characters, and try and bring it together and make something that makes people question things and hopefully doesn’t take away from the track,” Nabil explained to Noisey. Among those featured characters? A black priest, a white nun, and a trio of Somalian pirates.